Energy Transfer Partners (NYSE: ETP) recently merged with Sunoco Logistics Partners. It has more than 71,000 miles of oil and gas pipelines along with storage and other facilities in 38 states. That makes it one of the largest master limited partnerships (MLPs) in the U.S. But when it comes to dividend safety, does size matter? To start, Energy Transfer Partners gets credit for 16 straight years of annual distribution raises. It also has had strong growth in cash available for distribution (CAD), which is a measure of cash flow for MLPs. Last year, CAD increased 15%. But this year, CAD is likely to come down by $1 billion. Even worse, distributions are expected to be higher than CAD. 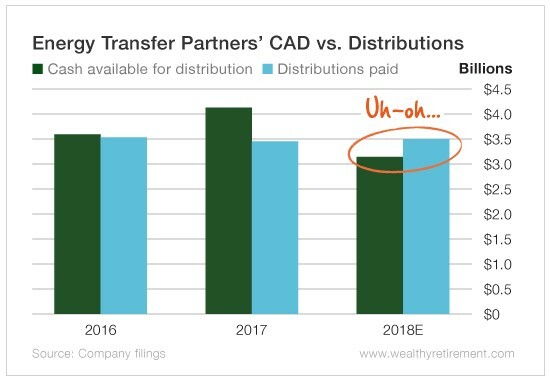 You can see from the chart above that CAD has been higher than what the company paid in distributions for the past two years. This year, however, that is not expected to be the case. Additionally, the company has a lot of debt. Its debt-to-equity ratio is 120%. That means it has more debt than shareholder equity. It also means it has to make interest payments, which puts pressure on the distribution if cash flow is falling. 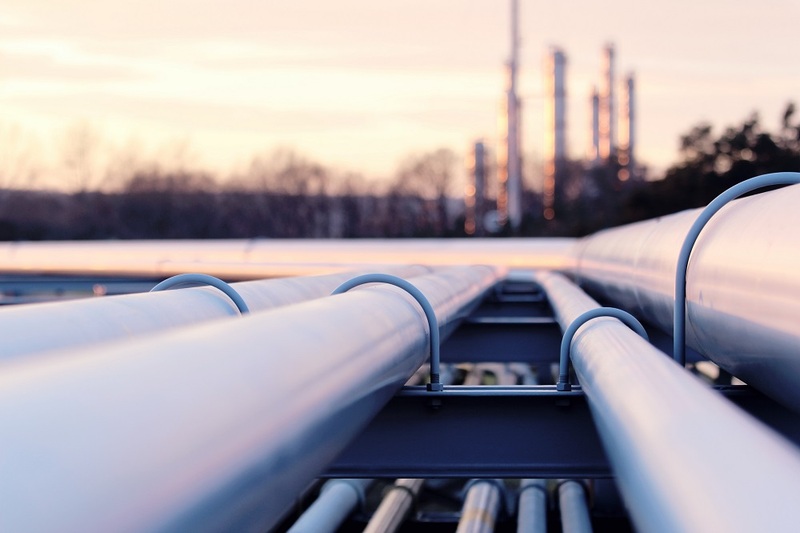 Declining cash flow, a heavy debt load and a distribution that is expected to be higher than the amount of cash the company brings in is cause for concern – no matter how large Energy Transfer Partners is. 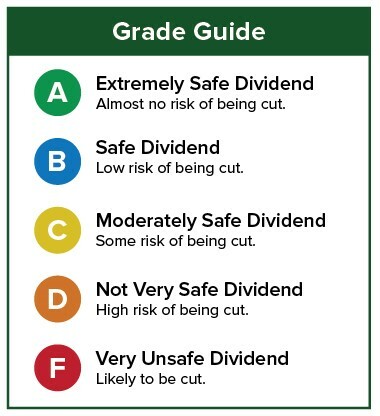 I don’t necessarily expect a dividend cut immediately, but if things don’t improve over the next few quarters, you could see the safety rating deteriorate. Marc is the Chief Income Strategist for The Oxford Club and Wealthy Retirement, as well as Founder and Senior Editor of The Oxford Income Letter. Click here for his full bio.